OK, here’s the revised poster with complete info…. 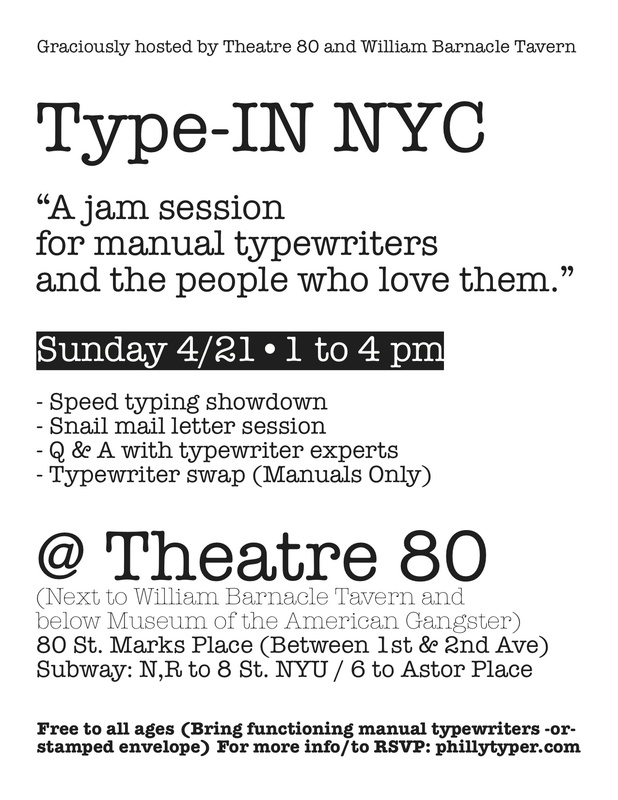 PLEASE, RSVP via Comments, and let us know where you’re coming from, what typewriter(s) you are bringing and if any of them are for the swap. Me for example: Michael McGettigan–Philadelphia. Olivetti Lettera 32, Olympia SF to swap. Thanks and hope to see lots of machines, and the people who love them on the 21st.